Beachbody’s newest program isn’t a fitness program at all. In fact, it’s not even really new. So what is Ultimate Portion Fix and should you even spend the money on it? As a certified Ultimate Portion Fix Master Coach I can tell you it’s not for everyone. Ultimate Portion Fix is a nutrition program available through Beachbody On Demand, Beachbody’s on-line streaming fitness service (Learn everything you need to know about Beachbody On Demand here). It’s an expansion of Autumn Calabrese’s color coded, portion-control container system from 21 Day Fix. Ultimate Portion Fix is not a diet. It teaches you how to develop healthy eating habits for life while still enjoying your favorite foods like cookies & wine. The main message is how to use food as fuel for your body. There is even a section on helping kids develop healthy eating habits. Here’s what you get when you purchase the Ultimate Portion Fix nutrition program. The videos are broken into 6 different modules to help you better understand how to fuel your body with food, use the containers, navigate the grocery store, plan & prep healthy meals and break unhealthy eating habits. You’ve successfully completed a few Beachbody programs but have never stuck to the nutrition part and haven’t gotten the results you desire. You’ve attempted the meal plans but never quite got it. You’ve done the meal plans but still have so many questions and want to learn more. Why does pumpkin count as a green or purple??? Working out just isn’t your thing but you are looking to improve your health through better eating habits. You want to lose weight but hate the idea of “diet” foods. You’re ready to kick your sugar addiction. If you’ve done programs like 21 Day Fix or 80 Day Obsession, had no problem following the meal plan, got great results and have no questions about nutrition then honestly, you probably don’t need Ultimate Portion Fix. I really enjoy learning all I can, so getting to dive deeper into the nutrition program and find out the how and why behind it all was worth it to me. After doing Beachbody programs for almost 10 years I still learned new things. You can see some of my takeaways over on my Instagram stories under Portion Fix. I also completed the coach certification for Ultimate Portion Fix so I can help you out with any questions you may have. Stay tuned because I’ll have more posts in the coming weeks detailing each eating path and using the program with your kids. Ready to get your nutrition under control with Ultimate Portion Fix? Use the link below to get started today. As an Ultimate Portion Fix Master Coach I’m happy to answer any questions you might have about this or any other Beachbody program. If you’re looking for accountability or help with meal planning I’ve got you covered as well. Need Help With Meal Planning? 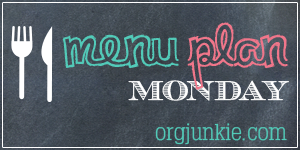 Subscribe Now to get Weekly Menus sent right to your inbox!